I love the shower curtain! I also don't mind the sink top I think it adds some texture. I agree with Debbie about the sink top.....it seems nowadays you can mix white and creamy. 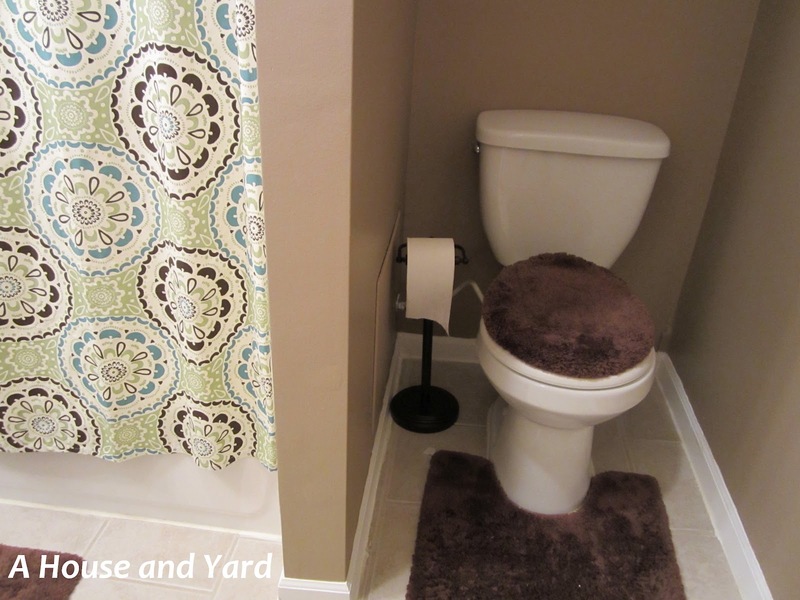 Or, if you want to paint, aren't there several colors in the shower curtain you could play off? (I keep my day job because I'm really deficient in home decorating!) 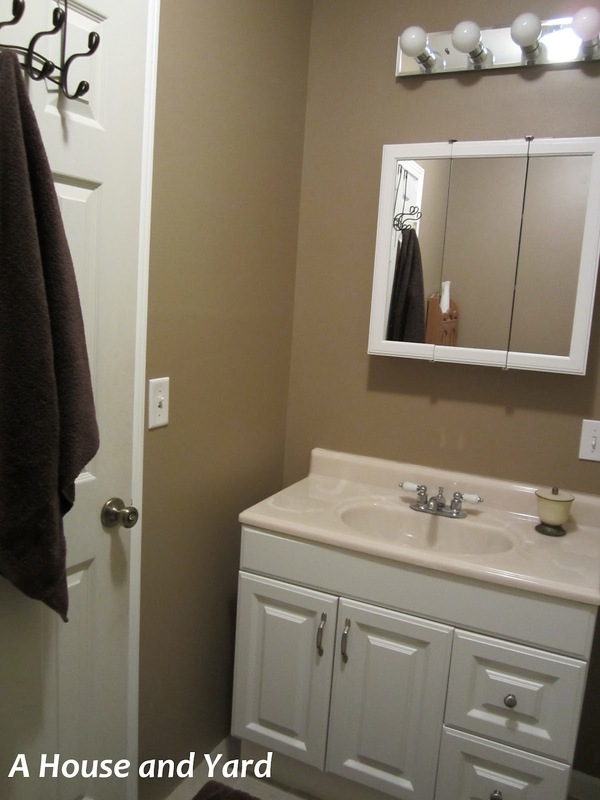 But your bathroom looks GREAT !!!! Karen, if I do paint it'll most likely be the same blue from the curtain. Bright and pretty! A random thing about Calista...She is very creative. Not only is she a creative writer, she's also a creative house decorator/fixer-upper! :) Thanks for sharing your pics! Hi Calista! Thanks so much for stopping by my blog! 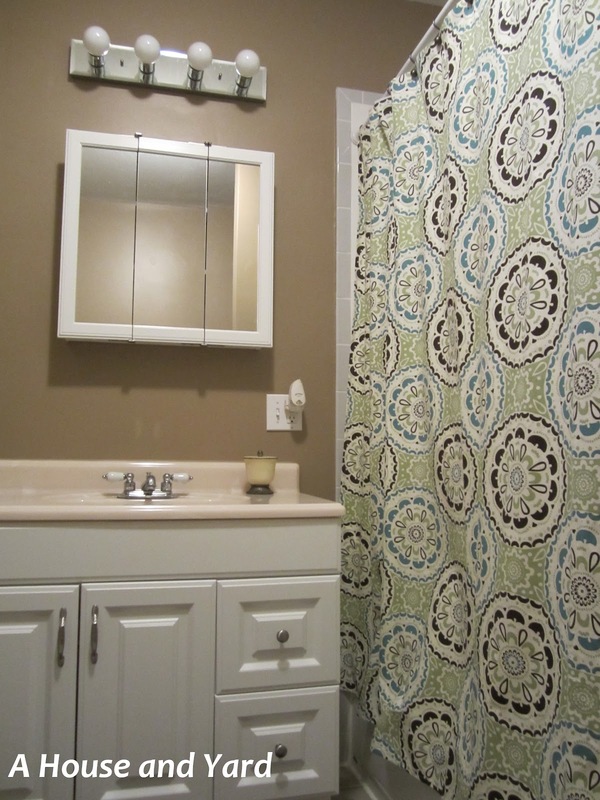 I was super excited about your comment that we have the same shower curtain. Target shower curtains are my favorite too! :) We even painted the walls in our bathroom a very similar color. 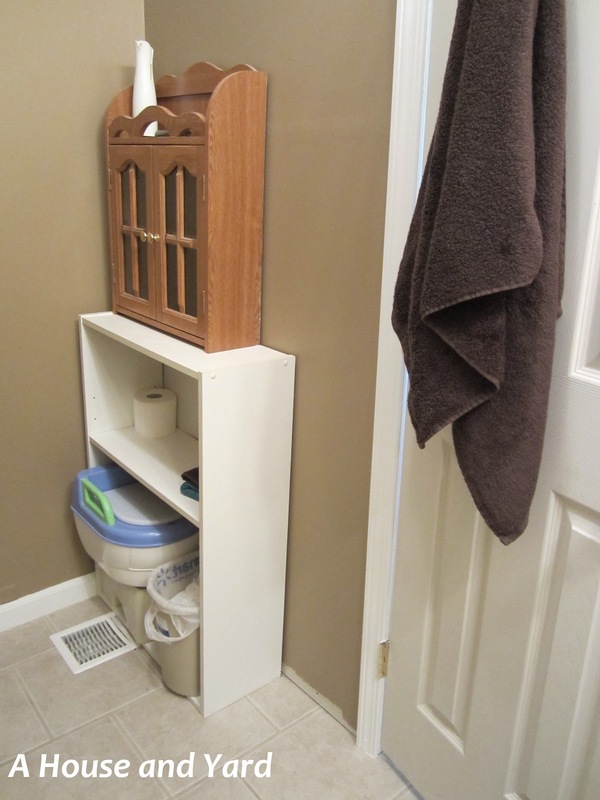 I have a honey oak cabinet in my bathroom and I have been thinking about painting it a dark brown like you were thinking too. So many decisions to make!